I haven't check out this thread in a while. There are so many great pieces. I especially like your Lex Luther and Flavio's Man-Bat. I'm naturally biased, of course, but I like my Lex Luthor as well! Peter- really like that solo Thing piece. Beautiful. I picked a simple black frame that is easy to dust. I am glad I spent money to get it professionally framed (totally worth the money). Nice Karl! Did u get the non-glare glass? It looks great! Thanks!! No, I went with normal glass. Personally I found the non-glare glass looked filmy and to be honest, I don't mind reflection in the glass-- I just have it out of direct light. So I went with a swanky double-mat (like two mats overlayed) and then a thicker frame -- I have never had anything professionally framed before and was blown away at all the choices!! Weird it looks fine on my iPad but sideways in the forum on the PC. Computers are hard. Here is a (hopefully) correctly-oriented pic. I find a place to hang them. Two down and two to go! That blue is so appropriate for these FF pieces. Looks really great, Marc! Looking forward to seeing the finished set! Looks really great with that blue mat. 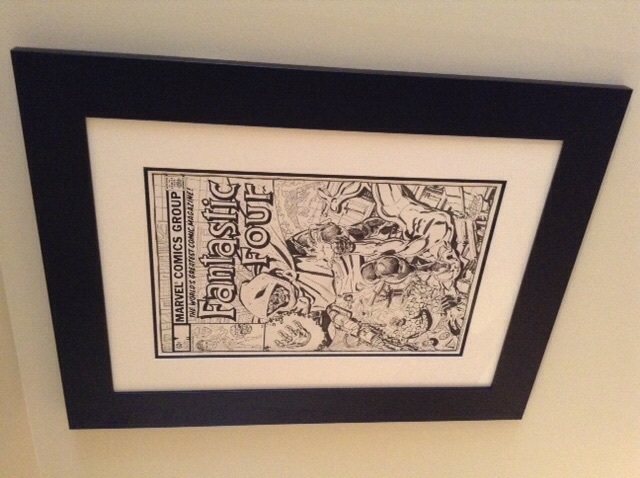 Framed my Byrne FF pages with the same blue matting. Look forward to framing future JB FF commissions that way! Dan, feel free to send them to me, I'll selflessly display them for you. 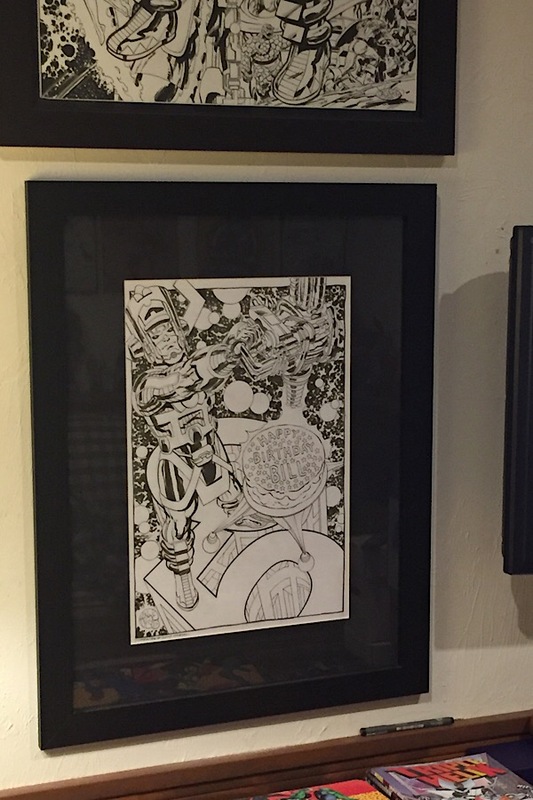 A new Galactus on the wall! Congrats on all of those acquisitions, the single figure of Galactus removing his helmet is my favorite. 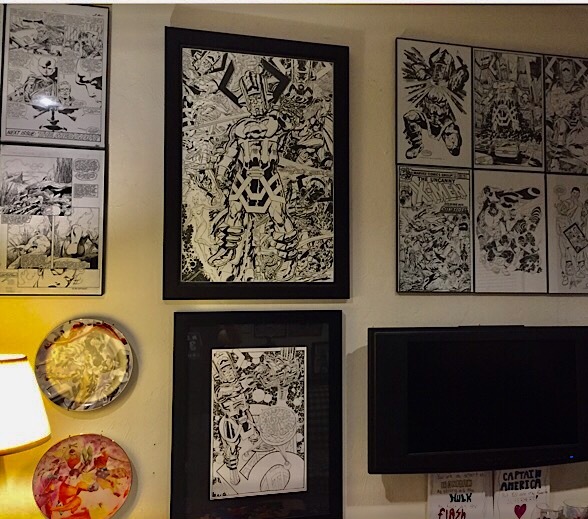 A lot of great art on that wall! SO many of my fans are turning 50.